HOW MANY ‘BEST OF’ WINES WERE AWARDED IN THIS YEAR’S WINES FROM SPAIN AWARDS? 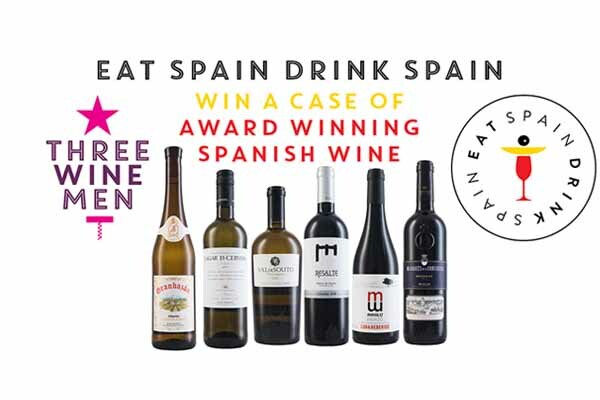 To see the complete line-up of winners please visit www.eatspaindrinkspain.com. Five lucky winners will be selected at random on 31st October 2018. The prize is one case of six bottles of wine per winner. The wines will be award-winning wines from the 2018 Wines of Spain Awards. They may differ from those shown in the images. There is no cash alternative. The prize will be delivered to one UK mainland address per winner. This competition is only open to those of 18 years or older. If you have already bought a ticket to any of the Three Wine Men Christmas 2018 Tastings you will be entered into the competition automatically.